Although Randy Carlyle's biography lists Sudbury, Ontario as his hometown (it was the location of his birth), locals will vehemently argue that, truth be told, the Anaheim coach is from the bustling burg of Azilda, about 8 miles northwest of downtown Sudbury. In fact, Azilda is considered part of the Greater Sudbury area. Azilda gets its name from a woman who was one of the first to settle in the rocky area. It was Azilda Belanger who left her legacy on the area…that is, until Randy Carlyle came along. Friday, August 17 had been earmarked for Randy Carlyle's triumphant return to the village in which he was raised. Azilda has a lot to be proud of in native son Carlyle. Drafted by the Toronto Maple Leafs in 1976, Randy enjoyed a sterling career playing defense for the Maple Leafs, Pittsburgh Penguins and Winnipeg Jets over 1,055 games. In 1981, he was the league's best defenseman, recipient of the Norris Trophy. After retiring with the Jets in 1993, Carlyle moved into coaching. He was an assistant coach in Winnipeg during the 1995-96 season, then spent from 1996 to 2001 and 2004-05 as head coach of the Manitoba Moose (later adding the general manager and team president titles as well), first in the International Hockey League and then, when that league folded, in the American Hockey League. In 1998-99, Randy was the IHL's Executive of the Year. In between his stints, he was an assistant coach with the NHL Washington Capitals. re-unites himself with the James Norris Memorial Trophy. Carlyle captured the Norris in 1981 as a member of the Pittsburgh Penguins edging out Denis Potvin of the New York Islanders. In 2004-05, with the Moose affiliated with the parent Vancouver Canucks, Carlyle led the team to a 44-26-3-7 record, and a trip to the Calder Cup semi-finals. Toiling on the Moose were a couple of hard-working guys named Joe DiPenta and Kent Huskins. Randy has a long memory! Hired as head coach of the Anaheim (Mighty) Ducks during the summer of 2005, Randy brought his hockey bag full of coaching and playing experiences to a very fine, young team. "I enjoy the lifestyle," Randy said. "It's hard work, but I love being around the game. Being a coach is the closest thing to being a player. The best part is when you win, no doubt. The worst part, of course, is when you lose." And then, no surprise to Randy, the Ducks captured the Stanley Cup last June. "I was afforded a great opportunity to come into a good group of players and an organization that wants to win," he stated. 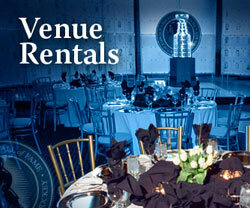 "I have a great working relationship with GM Brian Burke and the staff and ownership. We're all on the same page. 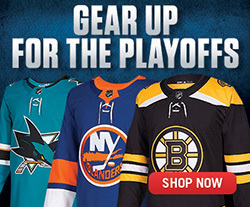 We don't think about anything but being an elite team and challenging for the Stanley Cup." As promised, the Stanley Cup-winning coach returned to Azilda on Friday, August 17 with the Stanley Cup in tow. Stepping onto the cement surface of the Dr. Edgar LeClair Community Centre's rink where ice will soon be made, Randy was greeted at 11AM by the exuberant cheers of 2,500 local residents as he raised the Stanley Cup over his head and smiled a face-smothering grin. Carlyle then set the Stanley Cup on a table beside the Norris Trophy at one end of the rink and proceeded to greet everyone who took the time to come by. Winding down the length of the rink and snaking into the stands, for four hours, fans filed by the historic trophies to congratulate Randy, get a photo of the coach with the Stanley Cup and collect an autograph. Among those who arrived to congratulate Randy were former teammates Mike Foligno and Rod Schutt, who played with Randy and Dave Farrish on the successful 1975-76 Sudbury Wolves' squad. Many in the small community knew the Carlyle family well through the years. "There were a lot of people asking, 'Do you remember me?'" laughed Randy. Never losing his proud grin, Carlyle laughed and kibitzed with every fan, keeping the long line moving as efficiently as possible through the afternoon. "It's about having as many people as possible have their picture taken with it," reminded Randy. "We want people to be able to enjoy it!" Carlyle commented, "It's so funny to come back here with the Stanley Cup. See all these seats. I helped put them in. It was one of my summer jobs!" After the visit to the community centre, Randy took the Stanley Cup to show his sister, his brother, a hardware store, a car dealership and to his mother-in-law's house. That evening, Randy, his wife Corey and their children Craig, Derek and Alexis, were the guests of honour at a party for 250 at the spectacular LakeHouse Restaurant in Sudbury's famous Science North attraction. The party ensued while guests looked out over Ramsey Lake. 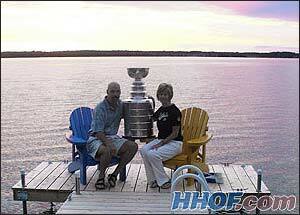 After a full day, Randy took the Cup on Saturday, August 18 to his cottage on Manitoulin Island. 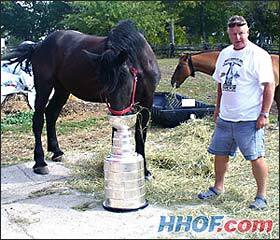 The visit to Rockville was the first time the Stanley Cup had been on the island. After family photos were taken at the cottage, Carlyle, dressed casually in a t-shirt, shorts and his Crocs, took the Stanley Cup over to the Rockville Community Centre. Local volunteers dressed in matching orange Stanley Cup t-shirts were already in place to make certain that the Stanley Cup's visit to Manitoulin Island was organized and memorable for local fans. Beginning at 11AM, fans traipsed through the rec centre to see the Stanley Cup, the Norris Trophy and to greet the Ducks' coach. Asked whether he had ever had his picture taken so often, he laughed and replied, "Yeah, yesterday in Azilda!" By 3PM, over 1,500 guests had stopped by for a photo, an autograph and to offer congratulations. "That's a lot of people for a little community hall like this," mentioned Randy. "It really demonstrates the passion we have here in Canada for hockey." After the public event, Carlyle made several visits around the area, including the hardware store, Looney Toonie dollar store, the grocert store, a restaurant, the bakery and the hospital. That evening, dinner with the Stanley Cup took place at the Schoolhouse Restaurant in nearby Providence Bay, where the menu included a scrumptious beef consommé, Caesar salad, salmon, prime rib, chicken, bread pudding and crème brulee. As Randy was walking along, he spotted a squirrel's tail, abandoned on the trail. The stern coach made way for a comedian, as he held the tail under his nose and looked like Lanny McDonald on a bad day! For a town of 1,100 residents, Lucknow has an extraordinary hockey legacy. Murray Murdoch played on the Stanley Cup champion New York Rangers in 1928 and 1933. The Chin family, specifically George, Bill and Ab, terrorized opponents with their goal-scoring prowess in the 1940's. NHL and Team Canada '72 star, Paul Henderson, was born in Lucknow and learned to play hockey as a youngster in the basement of the Chin's family restaurant. And now the community can thrust out its chest and boast of one more  Dave Farrish. Dave played his minor league hockey in Lucknow, in an arena that heralds his hometown roots with a banner that extends from one end of the Lucknow & District Sports Complex to the other. After a sensational junior career with the Sudbury Wolves, Farrish was drafted by the New York Rangers in 1976 and immediately stepped into their line-up. His NHL career took him from Broadway to the Plains of Abraham with the Quebec Nordiques, and concluded with four seasons in the blue and white of the Toronto Maple Leafs. An astute student of the game, Dave pursued coaching after retiring as a player. 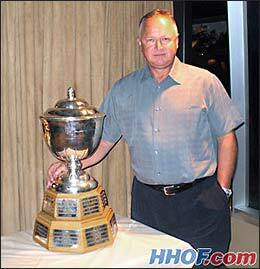 He coached with the AHL's Moncton Hawks, the IHL's Fort Wayne Komets, the ECHL's Louisiana Ice Gators and was an assistant coach with the New Jersey Devils of the NHL before he was hired as an assistant coach to Randy Carlyle in August 2005. The fact that Carlyle and Farrish are celebrating a Stanley Cup championship together is no coincidence. The two met in 1973 when they were put together on the blueline of the OHA's junior Sudbury Wolves. Both were recognized with All-Star selections in 1976 and were drafted by NHL teams that year. Farrish and Carlyle became friends in '73 and have remained so through 34 years. "Randy's like family to me, and I would assume I'm like that to him," explained Farrish. "We have cottages four doors apart on Manitoulin Island and we've got houses about a five-minute walk apart in Anaheim. I'm very blessed that he saw something in me that encouraged him to bring me to the Ducks. I'm indebted to him forever for the opportunity!" Farrish poses with the Cup at the entrance to his hometown of Lucknow, Ontario. Dave added one more act of friendship. "I made sure they had a picture of Randy and me lifting the Cup together after the final game. The two of us enjoying that moment now hangs on my cottage wall." Dave Farrish asked for the Stanley Cup at his cottage at 6AM on Sunday, August 19 so he could get photographs of the sunrise with hockey's most historic trophy. Dave's wife, Roxanne, was there to witness the incredible view with her husband. It was a belated birthday gift for the likeable assistant coach of the Ducks, who celebrated his 51st birthday on August 1. Inside the cottage, Farrish has a wall lined with license plates from each of the places in which he's lived  Austria, Canadian provinces New Brunswick, Ontario and Quebec plus U.S. states Maryland, New Jersey, New York, Pennsylvania and, of course, California. Later that morning, Dave flew with the Stanley Cup from his Rockville cottage to Lucknow, Ontario. As the small plane prepared to land, Farrish looked out the window and saw about a hundred people waiting for him, as well as 'Welcome Dave' written in a field near the landing strip. Dave was driven to the Lucknow Sports Complex, where local minor hockey players were given the opportunity to get their photos taken with him and the Stanley Cup. At 1:30, Farrish rode in a convertible with the Cup through Lucknow's downtown core, accompanied by Lucknow Minor Hockey players and coaches and led by the Lucknow Pipe Band. The parade of champions returned to the arena greeted by thunderous applause, as Lucknow welcomed back one of its proud sons. Dave Farrish sits atop a Ford Mustang with the Stanley Cup en route to the Lucknow Sports Complex. The ceremony included greetings from Ian Montgomery, an executive with the minor hockey program, Reeve Ben Van Diepenbeek and Lillian Abbott, the chairperson of the Recreation Board. Dave, in turn, thanked his wife, his mother Peggy and his late father for their support, and then told the assembled multitude how much he appreciated them. "I got a lot of e-mails (during the playoffs) from people from in Lucknow, hundreds every day, wishing me the best of luck. That's why I decided to bring the Cup home to Lucknow," explained Farrish. With that, Dave smiled, posed and signed autographs from 2:00 until 5:00PM. Having shared the Stanley Cup with the fans, Dave and Roxanne slipped into a VIP area in order to celebrate with family and close friends. Champagne filled the bowl, and each took a turn sipping the nectar of victory. Later, Farrish took the gleaming trophy to visit his mother in nearby Goderich. After photos at the house and in a local park, Dave took the Cup back to his Mom's place and gathered with some pals for a more private celebration. Dave made the world's biggest margarita, poured it into the historic bowl of the Cup and tilted Lord Stanley's mug to let all of his friends and family members enjoy a drink. "I left Lucknow at a very early age, but I'm sure a lot of people told their kids and their grandchildren about us and our minor hockey days," reflected Farrish. "It's great to come back to the community that has been so supportive of me growing up and share the Stanley Cup with them." We'll flip the pages of the Stanley Cup Journal over to the entry for Rick Patterson, the Director of Professional Scouting, and share it with you on Tuesday. See you then!